1. North Block: Expand and upgrade mineral resources in the North Block with targeted drilling, including the Volta Grande Project area. 2. South Block: Expand and connect mineral resource areas in the South Block with targeted drilling. 3. Greenstone Belt Potential: Demonstrate the mineral growth potential along the 120-kilometer-strike property with greenfield exploration activities in preparation for drilling. Stéphane Amireault, Vice President of Exploration for Belo Sun, commented, "We are very excited to re-initiate exploration on our large property, which covers most of the 120-kilometer-strike Três Palmeiras greenstone belt. Currently, drilling has been focused in the North Block and South Block, on which we have drilled approximately 215,000 meters and 25,000 meters, respectively. With the 2017 program, we look forward to demonstrating the possibility of new and expanded gold mineralization on our property." An initial budget of approximately $5 million has been allocated to the 2017 exploration program, for which further details are provided below. The North Block currently contains a proven and probable mineral reserve of 3.79 million ounces of gold grading 1.02 g/t. The mineral reserves are contained within a total mineral resource of 156.6 million tonnes containing 4.96 million ounces of gold grading 0.98 g/t in the measured and indicated categories, and 39.8 million tonnes containing 1.15 million ounces of gold grading 0.90 g/t in the inferred category (See notes 1 and 2 at the end of this press release for details related to the mineral resource and reserve estimates). An updated geological model was recently generated for the two current mineral deposits, Ouro Verde and Grota Seca. This exercise resulted in better geological understanding in the structural controls of the deposits. This information has been integrated in the exploration target boundaries, which led to the strike length of both deposits hosting the mineral resource being subdivided into six domains (see Figure 1). Add gold ounces to the mineral resources in the general mineral reserve area. 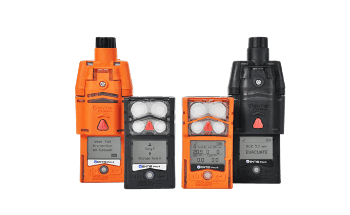 Follow-up on previously drilled mineralized intersections with the aim to upgrade the mineral resources from the inferred to the indicated category. Test an area in the eastern part of the Galo domain with the aim of extending the Grota Seca pit. Lastly, follow-up on historical drilling conducted in the Greia domain with the aim of converting current mineralization from the inferred category to the indicated category. The Greia domain, located to the North of the Central, Galo and Alto Alegre domains, hosts an estimated inferred mineral resource of 2.02 million tonnes containing 115,000 ounces of gold grading 1.79 g/t (See note 1 at the end of this press release for details related to this mineral resource estimate). 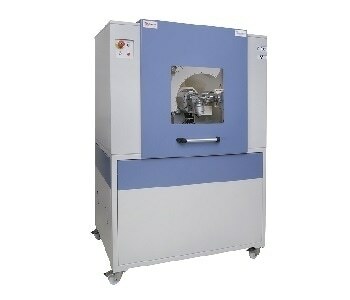 To view Figure 1. North Block Model Contour with Main Target Zones, please visit the following link: http://media3.marketwire.com/docs/1085208_Figure_1.jpg. A mineral resource estimate dated October 1, 2013, for the South Block, assessed open pit resources of 2.5 million tonnes containing 0.25 million ounces of gold grading 3.06 g/t in the indicated category, and 2.9 million tonnes containing 0.37 million ounces of gold grading 3.94 g/t in the inferred category (See note 3 at the end of this press release for details related to this mineral resource estimate). Following the completion of an updated geological model in the South Block, a drilling program will be designed to target areas distributed in the granodiorite near the contact with a meta volcano-sedimentary sequence (Figure 2). The objective of this drill program will be to increase the existing estimate of mineral resources and demonstrate continuity along the target zones. To view Figure 2. 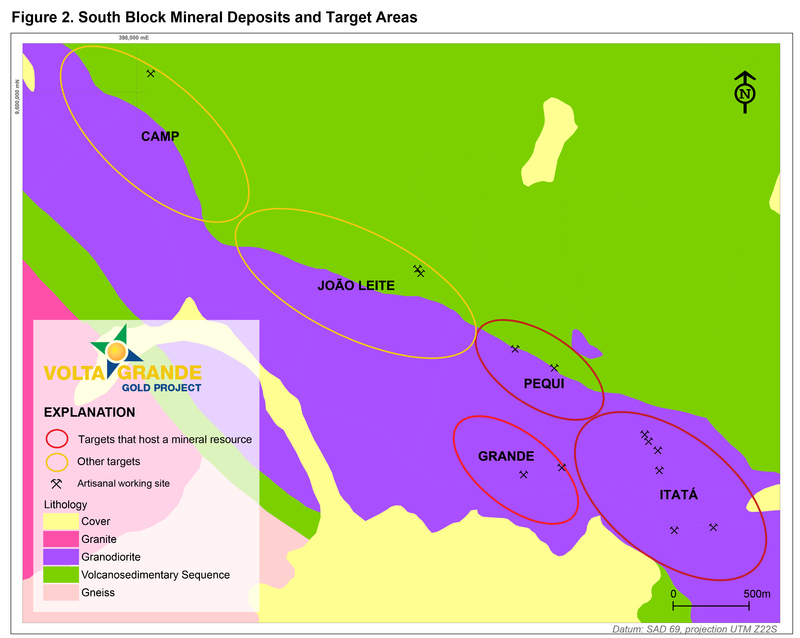 South Block Mineral Deposits and Target Areas, please visit the following link: http://media3.marketwire.com/docs/1085208_Figure_2.jpg. The Belo Sun exploration claims covering the greenstone belt has been divided into four sectors (See Figure 3). Each sector is bound by a cross-cutting river and displays a set of coherent geological features. Geophysical targets along the entire strike length of the greenstone belt have been defined by comparing the geophysical responses with the corresponding signature of North and South Block Deposits. Furthermore, occurrences of significant artisanal workings were mapped and initial rock geochemistry appraisal were conducted for some of the workings. A systematic review of these targets will be completed to determine areas that may benefit from ground soil and ground geophysical surveys. This additional information is expected to assist in preparing future drill targets. To view Figure 3. Claims Contour with Regional Exploration Targets, please visit the following link: http://media3.marketwire.com/docs/1085208_Figure_3.jpg. 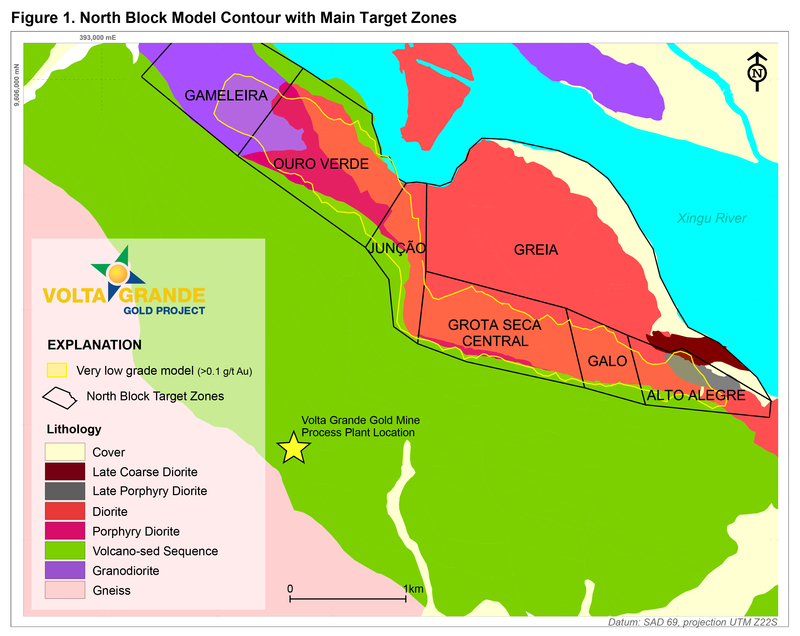 The North Block mineral reserve statement is authored by Gordon Zurowski, P.Eng, from AGP Mining Consultants, and can be found in the NI 43-101 technical report titled "Feasibility Study on Volta Grande Project, Para, Brazil" dated May 8, 2015. Mr Zurowski is an Independent Qualified Persons as defined by NI 43-101. Inter-ramp bench toe-to-toe slope angles that were used are 31 degrees for Saprolite and transition zone, from 48 to 63 degrees in fresh rock. The pit designs are based on ultimate pit shells developed for each of the two deposits (Ouro Verde and Grota Seca) using $1,020/oz gold price. Measure Resource was transformed in Proven Reserve, whereas Indicated Resource was transformed into Probable Reserve. More detail regarding the underlying assumptions and parameters can be found this technical which was filed on SEDAR on May 8, 2015. The North Block mineral resource is a NI 43-101 compliant mineral resource estimate that was prepared by Oy Leuangthong, Ph.D, P.Eng., and Jean François Couture, Ph.D, P.Geo., both from SRK Consulting (Canada) Inc. and Independent Qualified Persons as defined by NI 43-101. The open pit mineral resources are reported at a cut-off grade of 0.4 g/t Au. The cut-off grades are based on a gold price of $1,400/oz and metallurgical recoveries of 94% for saprolite and 94% for unweathered material. Please note that mineral resources are not mineral reserves and have not demonstrated economic viability. More detail regarding the underlying assumptions and parameters can be found in the technical report titled "Feasibility Study on Volta Grande Project, Para, Brazil" dated March 30, 2015, which was filed on SEDAR on May 8, 2015. The South Block mineral resource estimate is a NI 43-101 compliant mineral resource estimate prepared by Belo Sun and audited by Oy Leuangthong, Ph.D, P.Eng. 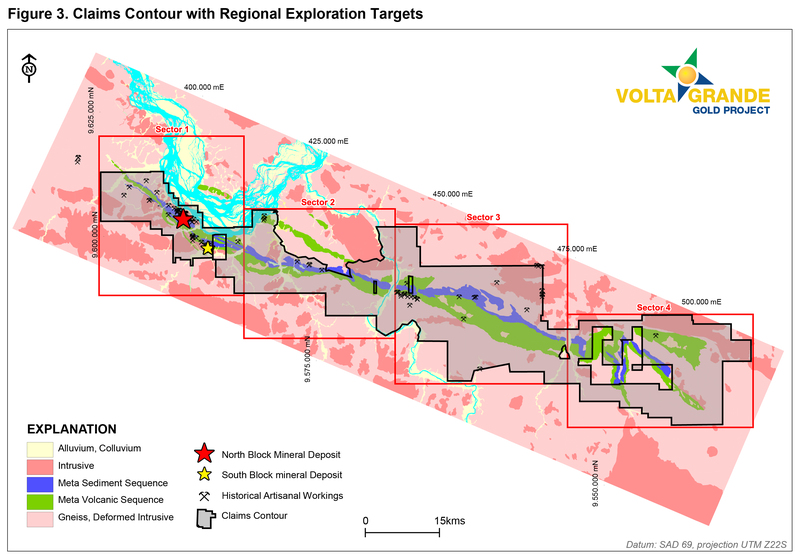 and Jean-Francois Couture, Ph.D, P.Geo, all from SRK Consulting, which was included in the Preliminary Economic Assessment titled "Volta Grande Project, Para, Brazil" dated March 31, 2014. Both Drs. Leuangthong and Couture are independent Qualified Persons as per NI-43-101. Open pit mineral resources are reported at a cut-off grade of 0.5 g/t. The cut-off grades are based on a gold price of $1,400/oz and metallurgical recoveries of 94% for saprolite and unweathered material. Please note that mineral resources are not mineral reserves and have not demonstrated economic viability. Details on assumption and other estimation parameters can be found in this technical report which was filed on SEDAR on March 31, 2015. 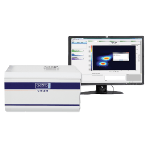 The technical information in this press release has been reviewed and approved by Stéphane Amireault, MScA., P. Eng., VP of Exploration for Belo Sun and a Qualified Person as defined by National Instrument 43-101.